Start taking classes at RelaxZen Yoga Studio and other studios! Take a break from your busy schedule and get some flow during your lunch hour. This class is suitable for beginners and first time yoga students. Stretching and balancing poses will be taught at a slower pace and with more detailed descriptions. Discover the multi-faceted benefits of yoga, gain better body awareness, and learn how to lengthen and strengthen safely and slowly with proper posture alignment. Yogic philosophy, breath awareness and linking breath to movement will also be introduced. Vinyasa in Sanskrit means “to place in a special way”, come explore your practice with us through basic yoga postures (asanas), fundamental breathing techniques, guided meditation, and formal relaxation. There are no upcoming “Lunchtime Zen VinFlow” classes on this day. Please bring a yoga mat, water bottle and towel to class. First timers, please arrive 15 minutes before class to get situated and sign a release form. Find RelaxZen yoga studio the "easy peasy" way into Historic Savage Mill. 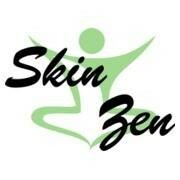 Check out their Facebook page photo album or go to www.skinzenescape.com for a slide show, bookmark it to your phone, and it's so easy!